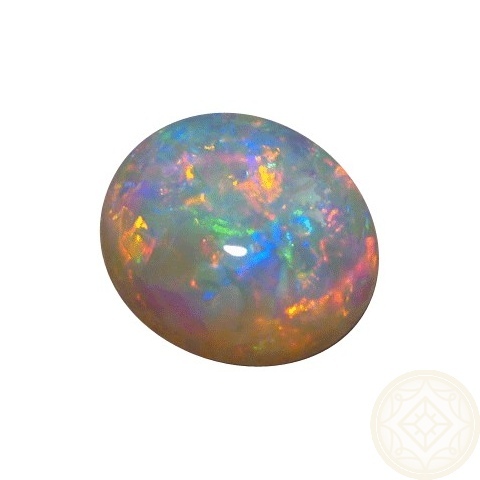 A Crystal Opal that is almost round with very bright colors in a stunning pattern ready to set. 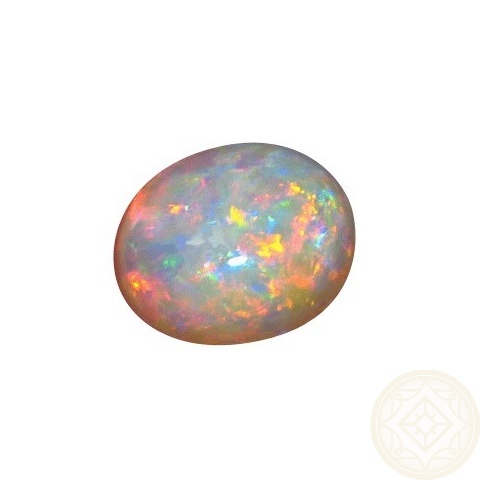 This loose Crystal Opal has the ideal Red and Blue colors but is mixed with Orange making it quite striking. 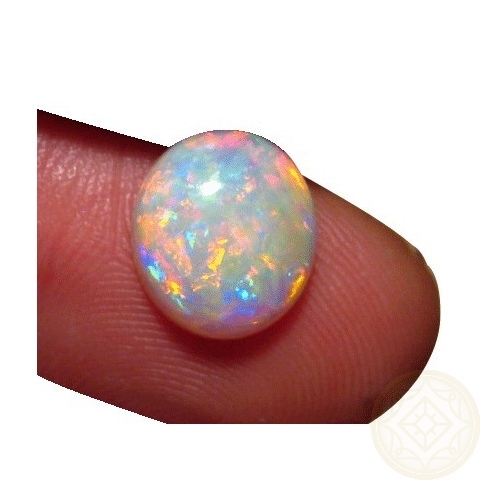 From Coober Pedy, South Australia, it has been cut to an oval - although it is almost round - weighing 3.31 carats and is ready to set in a Custom Made jewelry. 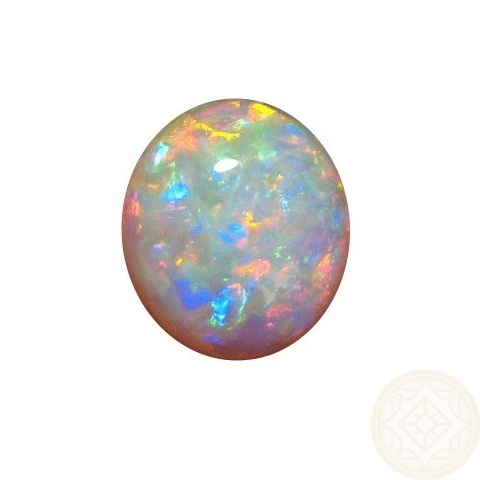 Watch the video below of the Opal in movement to see the brightness and the stunning Patch Harlequin play of color. 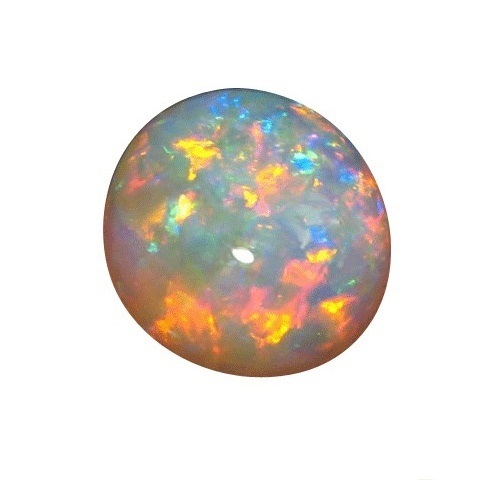 If you would like this Opal mounted in a ring or pendant, please contact through this product for a no obligation quote. 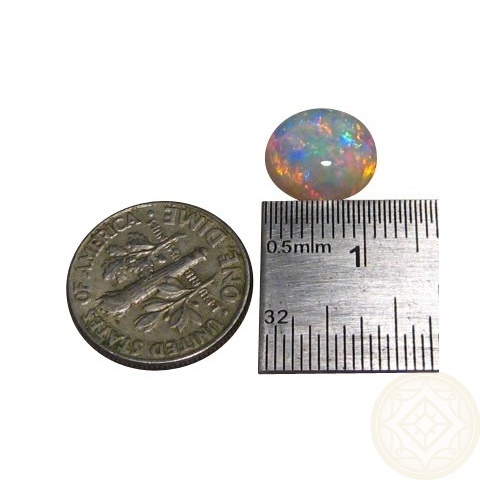 This beautiful natural Opal is part of a retired miners stock so please allow at least two business days for shipping.